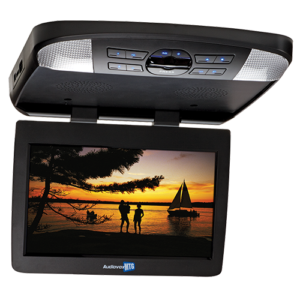 The AVXMTGHR1M entry level rear seat headrest system is the perfect unit for a family that is on a budget and wants to add an additional monitor to an existing mobile video source. 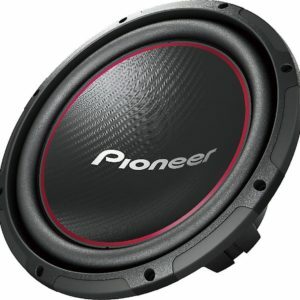 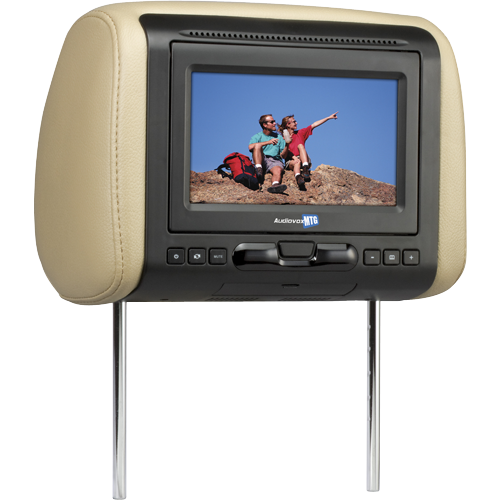 This system does not have a built-in DVD player and comes with shale, pewter and black covers as well as adjustable post for a universal fit that fits most vehicles. 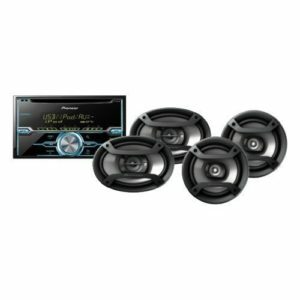 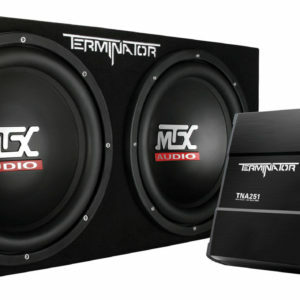 Provide your backseat passengers with front-row quality entertainment with the this Movies2Go overhead system. 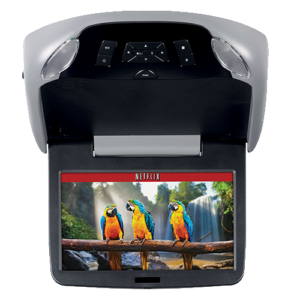 Entertain your rear seat travelers with their favorite movies or content from their personal media devices (USB and SD card supported). 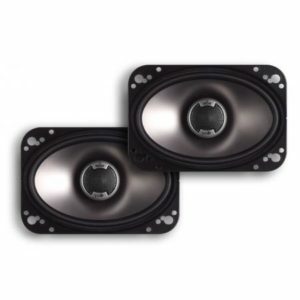 Don’t worry about trying to match the interior of your car as this overhead comes with 3 different colored interchangeable trim rings Shale, Pewter and Black. 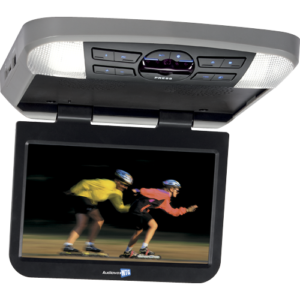 The AVXMTG13UA is a 13.3 inch LED backlit overhead mobile video system. 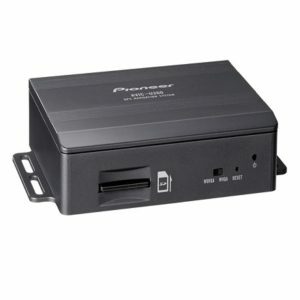 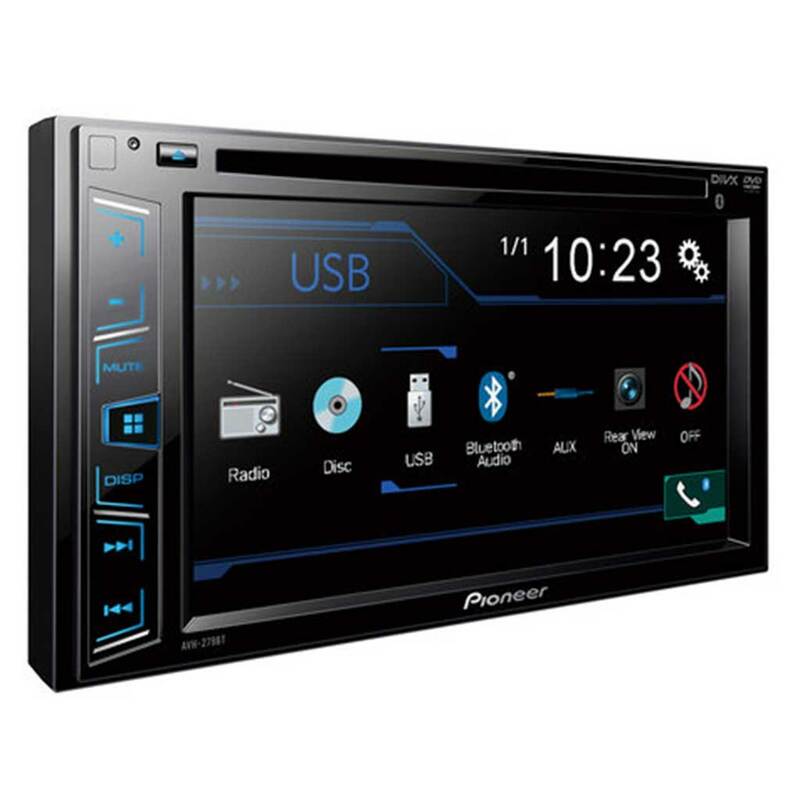 This unit features audio/video inputs for additional source units, USB/SD inputs for digital media (4GB max on SD card), built-in 16 channel FM modulator as well as interchangeable pewter, shale and black trim rings and snap-on covers. 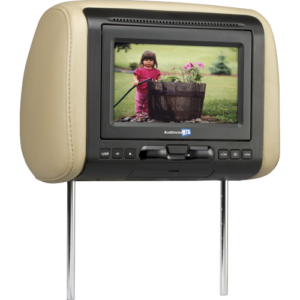 Our entry level headrest system with built-in DVD player is perfect for any family on a budget looking to purchase a rear seat entertainment system. 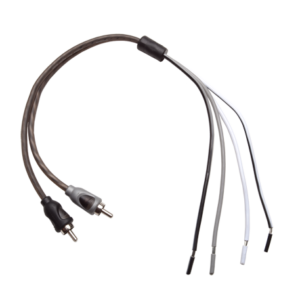 This unit comes with multiple color cover (shale, pewter and black) to match most interiors as well as adjustable headrest pole diameter for a universal feel that fits most vehicles.